SEATTLE, WA - January 26, 2015 - Archive Entertainment is excited to announce that 8BitMMO has concluded its Early Access phase and has now reached its 1.0 Full Release. Development on 8BitMMO originally began in 2001, when solo indie developer Robby Zinchak began working in his spare time on a sandbox game where all players could help build the world together. The game went through many iterations and several rewrites. Finally, a publicly playable build was ready in June of 2011. It was well received, and later that year Zinchak began working on the title full-time. 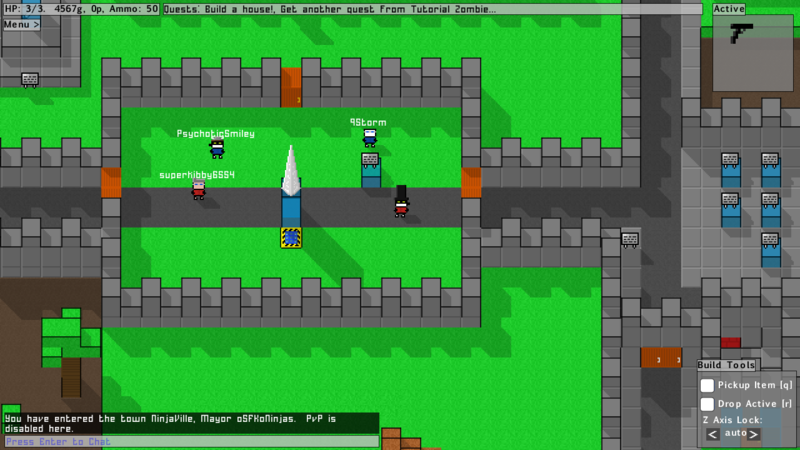 8BitMMO continued to be improved as time went on and a community built up around it. It was selected for Steam Early Access and launched there on December 13, 2013. The title has grown immensely over the past few years, with now over 650,000 registered users and a user-built world that is larger than the combined landmass of the United Kingdom. The fan community is small, but fervent, with some users writing novels-worth of fanfiction, creating a 3d-printed model of their character, or in one case even getting a tattoo of the game. Zinchak has added many new features in the past year based on feedback received from players. One major new feature recently added is a new competitive PvP/PvE game mode called Transponders that allows players to build a base and then summon a raid consisting of monsters and other players. Enemies spawn in increasingly difficult waves, and the winning side is awarded gold for their victory. The game has won several awards, including Best Technological Game at Tokyo Game Show's Sense of Wonder Night, Winner of the Seattle Independent Game Competition, and Director's Choice at the Indie Prize Showcase in San Francisco. Even though this is the official launch, the game will continue to be updated with new content even after this release. Players can get the game now via Steam for free, or at http://8bitmmo.net. 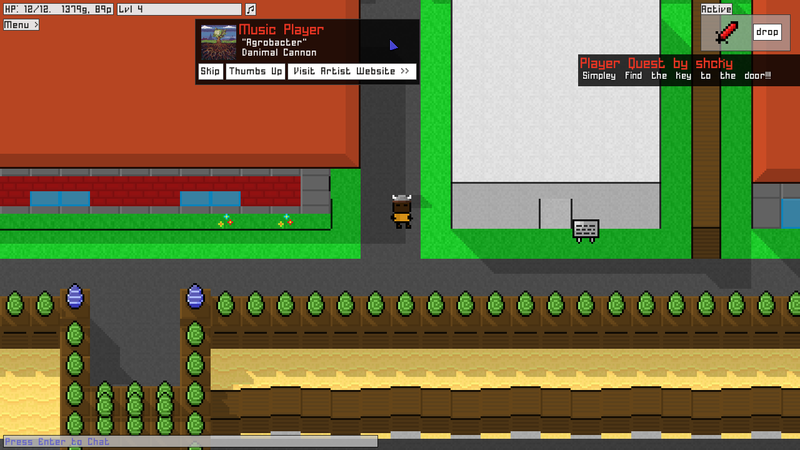 8BitMMO is a free online videogame where players can shape the world block by block. 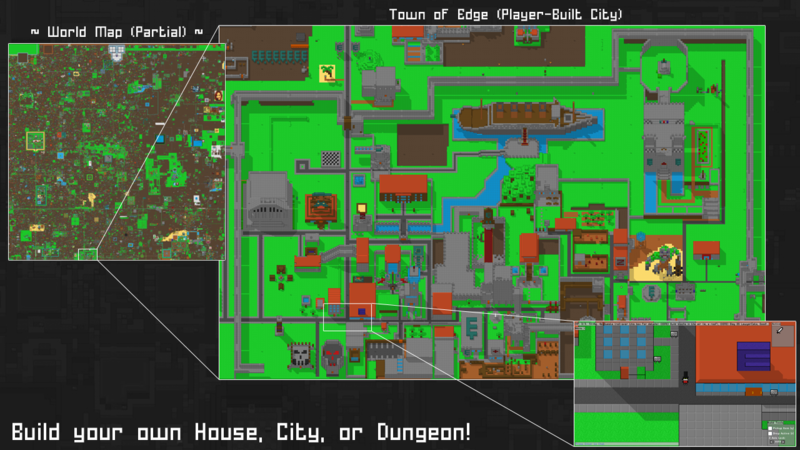 The game's engine allows for a wide variety of player made buildings. Players can build solo, or group up and create their own towns with friends for cooperative building projects. In either case, a grief protection system protects the player's creations from unwanted interference. The game is humorous in tone, with amusing quests and unusual enemies. There is also Player vs Player and Player vs Environment combat. It is fully playable on the project's website or via Steam. Additional updates to the game are planned to introduce more features and content. Archive Entertainment is a one-man indie developer, Robby Zinchak. Previously a Producer at Microsoft, he has also led game creation at Capcom and Midway, producing titles such as Final Fight: Double Impact, and FLOCK!. He is now working on 8BitMMO from Seattle. Robby has a long history with games: he wrote his first one at age ten on a cutting edge 16-color PC. Since then, he has continued to create games while retaining that same pioneering spirit.